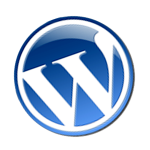 WordPress is a powerful website content management system. It currently is running behind many CAS department and program websites. Free WordPress sites and blogs are also available to faculty, staff and students via http://blogs.uoregon.edu. This workshop is a tour of WordPress. We will show you WordPress’ various functions and features using examples of real WordPress sites. We will use the first 45 minutes to cover the WordPress basics like what is WordPress, creating posts and pages (what is the difference between them), how to manage media and links, what are themes (how do they work) and what WordPress resources are available on campus. The last part will be Q&A so bring your questions. Session: August 10th 9:00am to 10:00am, SSIL Lab McKenzie 445. 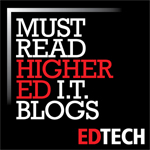 UO Blogs has the ability to map to custom ‘.uoregon.edu‘ domains. For example, UO Blogs sites (‘blogs.uoregon.edu/<sitename>‘) can be mapped to a ‘<sitename>.uoregon.edu‘. If are you interested in having your UO Blogs site mapped to a ‘.uoregon.edu ‘ domain, please read through the guidelines and fill out the form. If your request meets the specified guidelines, the Help Desk will process your request and you will be contacted when your site has successfully been mapped. Now in its 14th year, OSCON is the best place on the planet to prepare for what comes next, from learning new skills to understanding how new and emerging open source technologies are going to impact how we live, work, and do business. In keeping with its O’Reilly heritage, OSCON is a unique gathering of all things open source, where participants find inspiration, confront new challenges, share their expertise, renew bonds to community, make significant connections, and find ways to give back to the open source movement. The event has also become one of the most important venues to unveil ground-breaking open source projects and products. Nikki DelRosso and I were fortunate to attend the tutorials sections of the convention. It was a decent experience. We both picked topics that we were familiar with and this made the tutorials a little boring because they catered more towards people who had little to no knowledge of the topic. I recommend picking up topics that you have no knowledge about to enjoy the tutorials even more. For more information about OSCON please visit their site. Next the OSCON is coming back to Portland, OR so I recommend going for the entire convention if you can.